Chia-Lin Chang holds a PhD (Economics), 2004, from Université Catholique de Louvain, Belgium, and is an elected Distinguished Fellow of the International Engineering and Technology Institute (DFIETI), and an elected Fellow of the Modelling and Simulation Society of Australia and New Zealand (FMSSANZ). Chia-Lin Chang is a University Distinguished Professor, Professor of Economics and Professor of Finance at National Chung Hsing University, Taiwan, a Distinguished Visiting Professor in the Faculty of Economic and Financial Sciences at the University of Johannesburg, South Africa, and an Adjunct Professor in the Department of Quantitative Economics at Complutense University of Madrid (founded 1293), Spain. Chia-Lin Chang has over 100 journal publications (most of which are in Thompson Reuters) and chapters in books and conference proceedings volumes, is the Executive Editor of the Taiwan Journal of Applied Economics, Co-Editor-in-Chief of the Journal of Reviews of Global Economics (Scopus), Editor-in-Chief of Medical and Health Economics, is a member of the editorial boards of 18 international journals, and has guest co-edited special issues of the following Web of Science journals: Journal of Econometrics (Elsevier), Mathematics and Computers in Simulation (Elsevier), North American Journal of Economics and Finance (Elsevier), Annals of Financial Economics (World Scientific), and Journal of Risk and Financial Management (MDPI). 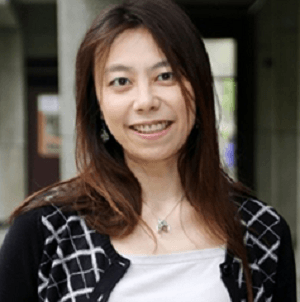 Chia-Lin Chang has been a visiting professor at the Econometric Institute, Erasmus School of Economics, Erasmus University Rotterdam, The Netherlands; Faculty of Economics and Faculty of Engineering, University of Tokyo, Japan; Institute of Economic Research, Kyoto University, Japan; Faculty of Economics, Yokohama National University, Japan; Department of Economics, University of Padova (founded 1222), Italy; Department of Finance, Chinese University of Hong Kong, China; and Department of Mathematics, Hong Kong University of Science and Technology, China.